﻿A researcher was inspired to look at the effects of antibiotics on the mitochondria of cancer stem cells after a conversation with his daughter about his work. The paper, published in Oncotarget, opens up the possibility of a treatment for cancer, which is highly effective and repurposes drugs which have been safely used for decades. Mitochondria are the 'engine' parts of the cells and are the source of energy for the stem cells as they mutate and divide to cause tumours. Cancer stem cells are strongly associated with the growth and recurrence of all cancers and are especially difficult to eradicate with normal treatment, which also leads to tumours developing resistance to other types of therapy. The researcher was having a conversation with his daughter about how to cure cancer and she asked why we don't just use antibiotics like we do for other illnesses. The conversation helped him make a direct link on how antibiotics affect mitochondria and their role in tumour growth. In their research, the team used five types of antibiotics - including one used to treat acne (doxycycline) - on cell lines of eight different types of tumour and found that four of them eradicated the cancer stem cells in every test. This included glioblastoma, the most aggressive of brain tumours, as well as lung, prostate, ovarian, breast, pancreatic and skin cancer. In the lung cancer patients, azithromycin, the antibiotic used, increased one-year patient survival from 45% to 75%. Even lymphoma patients who were 'bacteria-free' benefited from a three-week course of doxycycline therapy, and showed complete remission of the disease. Mitochondria are believed to be descended from bacteria which joined with cells early on in the evolution of life. This is why some of the antibiotics which are used to destroy bacteria also affect mitochondria, though not to an extent which is dangerous to people. 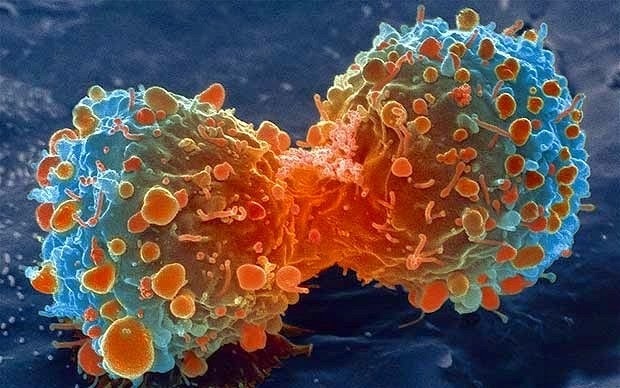 When they are present in stem cells, mitochondria provide energy for growth and, crucially, for division, and it is this process going wrong which leads to cancer. In the lab, the antibiotics had no harmful effect on normal cells, and since they are already approved for use in humans, trials of new treatments should be simpler than with new drugs - saving time and money. The research makes a strong case for opening new trials in humans for using antibiotics to fight cancer. Many of the drugs used were extremely effective and there was little or no damage to normal cells. These antibiotics have been in use for decades and are already approved by the FDA for use in humans. However, further studies are needed to validate their efficacy, especially in combination with more conventional therapies. Based on material originally posted by University of Manchester.